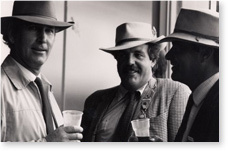 When people meet Warren Fahey they often recognize him as ‘that music man'. 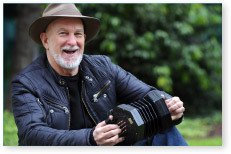 Warren is a larrikin who brought world music to Australia and Australian music to the world. As one of our foremost cultural historians, specializing in folklore, Warren Fahey sees himself as a 'recycling unit' and interpreter who makes relevant what has gone before. Meet the real-life performers who inspired the hit film The Adventures of Priscilla, Queen of the Desert. Ladies Please! is a rare and stimulating insight into the professional and personal lives of three of the most innovative drag performers. A Pocket Full of Minties, Showies & Lizzie's Royal The Sydney Royal Easter Show has many amazing and varied attractions and people. This collection showcases the various aspects of the traditional show, taking a very personal journey through the equestrian events, sideshow alley and a touching account of one woman's last ever show. Thredbo is Australia�s premier ski resort, and in 2007 celebrated its 50th year as a year round Alpine village. To celebrate this, the Thredbo Historical Society and Rebelstudio have created a film that revisits memories of a few pioneers of the Australian snow sports industry. This film follows the jouney of David Handley and his team, who in 1997 launched a temporary exhibition of sculptural works along the spectacular 2km Bondi to Tamarama coastal walk in Sydney, Australia. 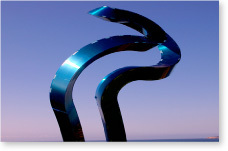 Over the past decade, Sculpture by the Sea has evolved from a humble one-day event organized by volunteers working out of David's living room, to become a bi-coastal series of annual exhibitions that has captured the world's imagination. A young thief, Christie, learns that some things in life are priceless in the course of watching a video she and her friends have stolen as part of a robbery they committed one life-altering night. 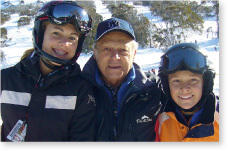 Tommy Tomasi has lived an extraordinary life.�Born in 1926 in Italy, he survived as a POW and immigrated to Australia after the war. From the Kalgoorlie gold mines, he went in search of the snow, driving across the Nullarbor to Cooma, where he joined the Snowy Mountain Scheme. 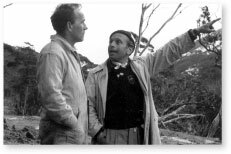 When the Thredbo ski resort opened in 1957, Tommy foresaw the need for a ski patrol to save the legs and lives of the weekend warriors, and founded the Ski Patrol Association of Australia.